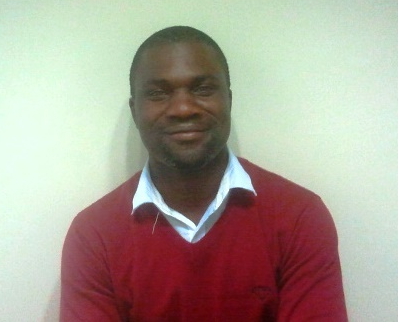 Machaya Chomba is a PhD candidate at the Water Research Node at Monash South Africa. His research focuses on examining relationships between organisations collaborating in water resources management in a river basin context. His research interests include institutional analysis in integrated water management; community-based natural management and the interplay between social and ecological systems. Machaya did his Master’s degree in Integrated Water Management at Monash South Africa with a focus on institutional arrangements influencing benefit sharing of fisheries resources in wetlands. Before joining Monash South Africa, he worked for World Wide Fund for Nature Zambia and local civil society partners in areas of climate change, community-based natural resources management and agro-forestry. He also participated in a number of research projects and consultancy works as a research assistant after completing his undergraduate studies at the Copperbelt University in Zambia. In many ways, Machaya’s PhD research is a culmination of his research and work experience that started out looking at natural resources management issues from a sectoral basis to a perspective that emphasizes linkages between social-ecological systems. His work contributes towards the improving water quality security strand of the International Water Security Network’s research, implemented by Monash South Africa.